Author of the presentation is Pawel Solon. Andrzej Sapkowski Andrzej Sapkowski(1948)- This is my favourite writer, author of the saga The Witcher. He. 2 Andrzej Sapkowski Andrzej Sapkowski(1948)- This is my favourite writer, author of the saga The Witcher. He wrote much more books, for example : Narrenturm, Boży bojownicy (gods fighter). 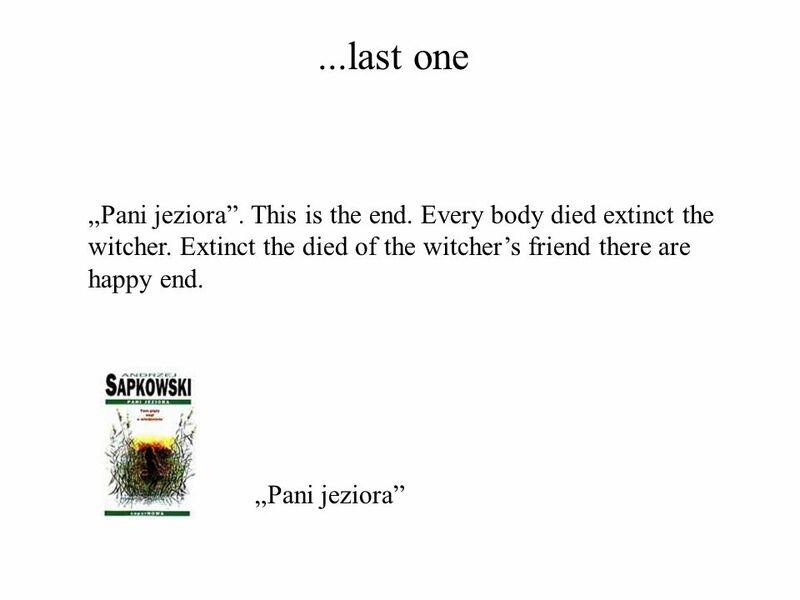 Sapkowski start publicated in polish newspaper fantastyka. He extinct that He cant write the clasical science fiction. 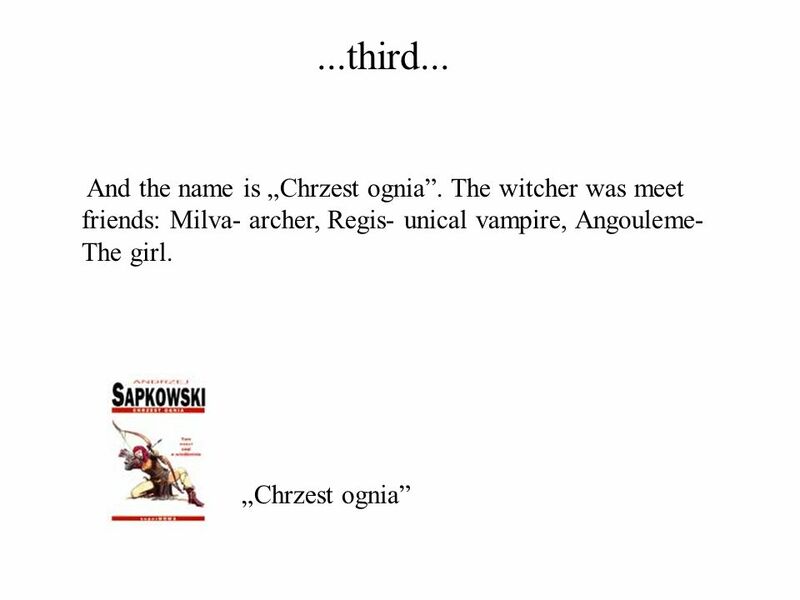 3 My favourite book In fact, there are a few of them, because The Witcher is an 5 book saga. 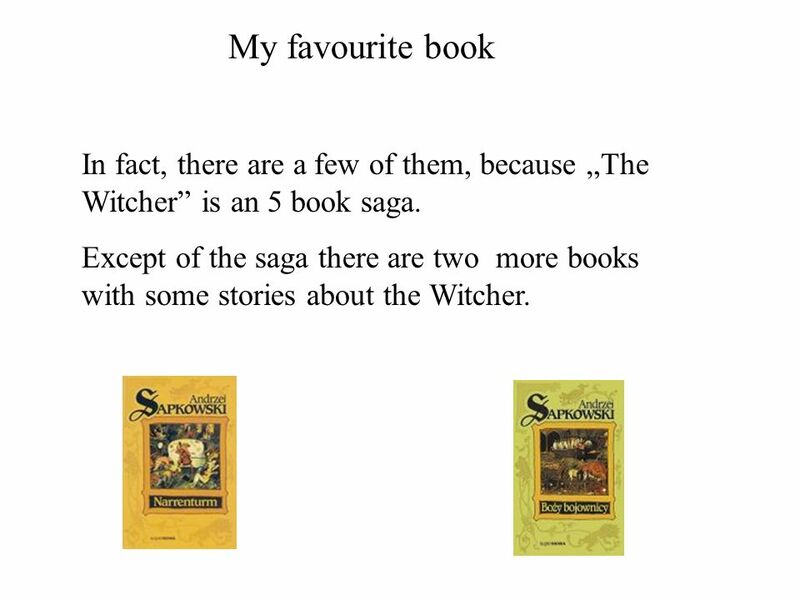 Except of the saga there are two more books with some stories about the Witcher. 4 First book... 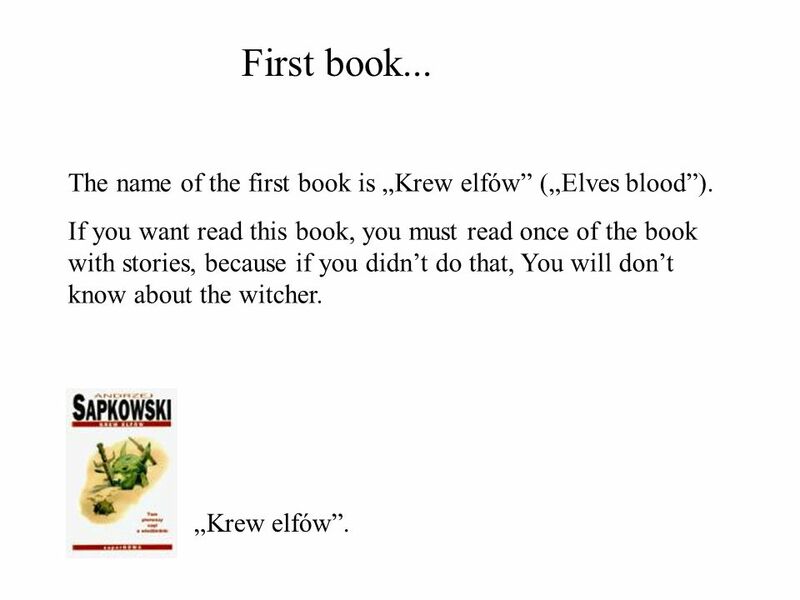 The name of the first book is Krew elfów (Elves blood). If you want read this book, you must read once of the book with stories, because if you didnt do that, You will dont know about the witcher. Krew elfów. 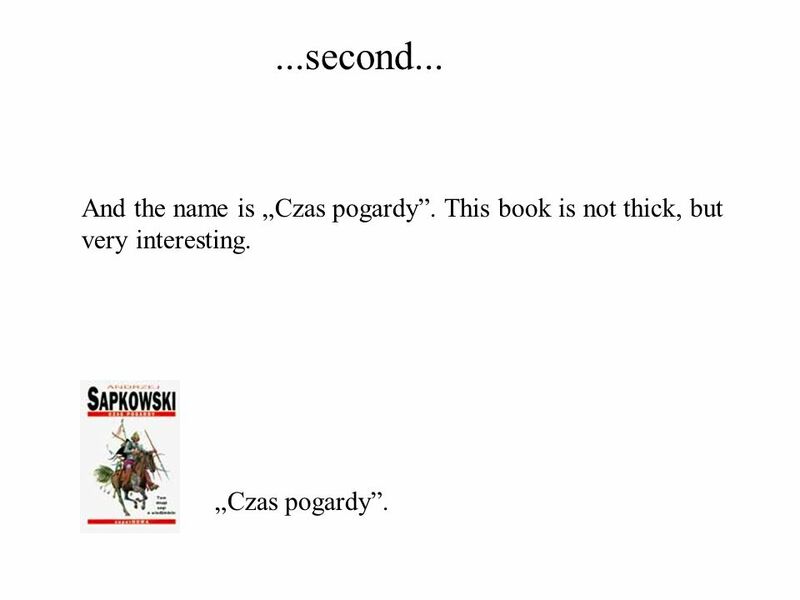 5 ...second... And the name is Czas pogardy. This book is not thick, but very interesting. Czas pogardy. 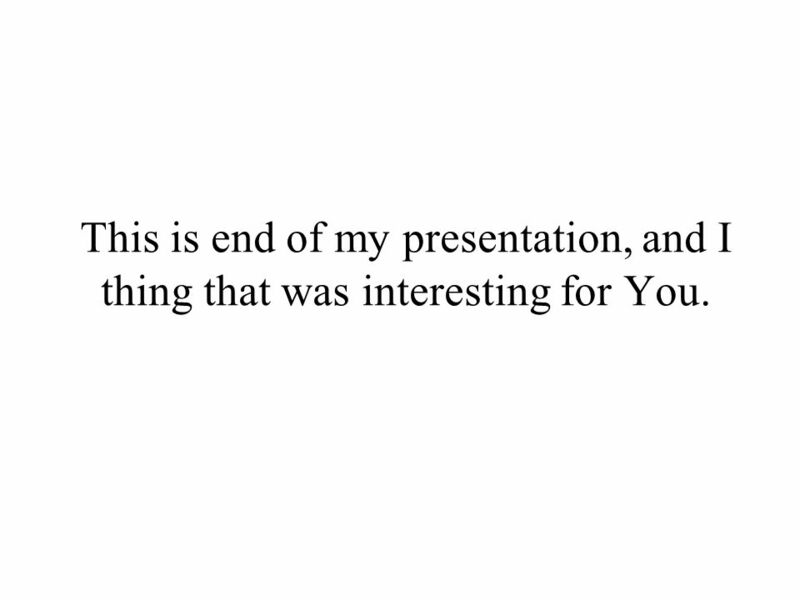 9 This is end of my presentation, and I thing that was interesting for You. 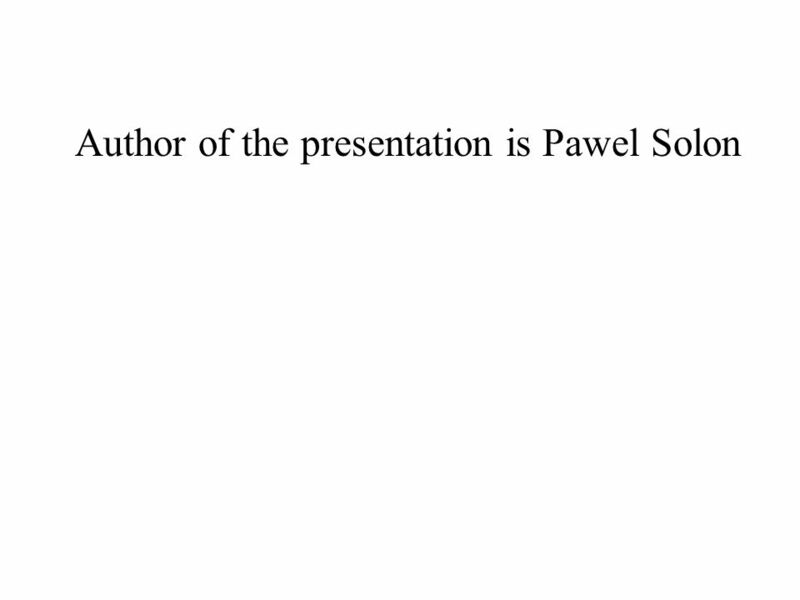 Download ppt "Author of the presentation is Pawel Solon. Andrzej Sapkowski Andrzej Sapkowski(1948)- This is my favourite writer, author of the saga The Witcher. He." The Andrzej Sapkowski Andrzej Sapkowski was born in Łódź in 1943.He is an economist..before the 1985 he wrotes some novells but rarely and he dont have. 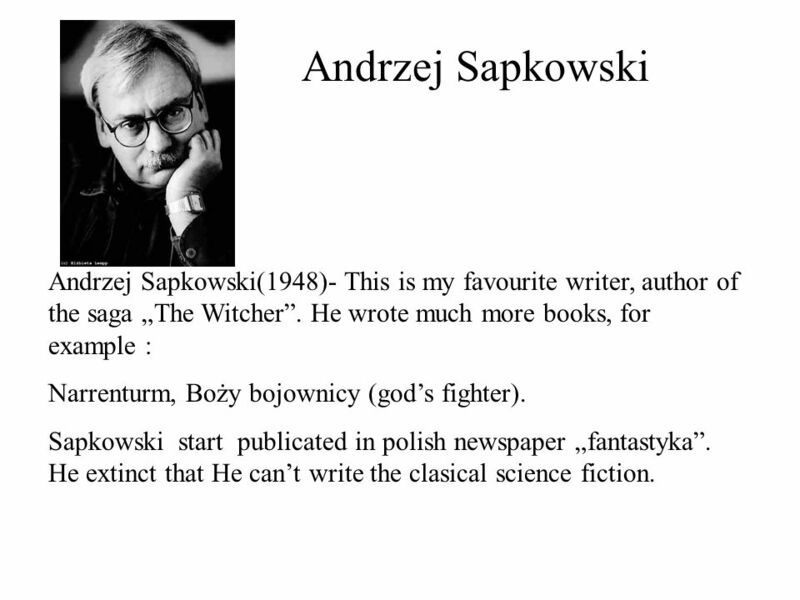 Andrzej Sapkowski And The Witcher. Good Morning! Today is ____________________. There are all kinds of ___________. We can play ball and go with our friends. We can take a walk, too. A friend. These are a few of my favourite ones. This would be my favourite car (because I have one) but also because they are reliable, practical and I think they. 1. THERE ARE MAGICAL CREATURES AND PEOPLE AND EVIL CREATURES. The Last Dragon. Kristine Belknap The Ethics of Robotics. Hello! You are …. Brave Funny Careful Smart Clever Helpful Beautiful (handsome) Lively Bright. 1 All about movies. 2 Directed by David Slade Twilight Eclipse. Welcome to the World of: Andrew Clements Dion Stocks. Teen realistic fiction By: Theresa Manaigre. Realistic fiction I like realistic fiction because it can really happen, you can relate to the book and what. Writer’s Workshop Lesson 7 Minilesson Fitting Information into Writing. Lesson 4 Reading as a Writer. “If you don't have time to read, you don't have the time (or the tools) to write. Simple as that.” ― Stephen KingStephen. Books that take you back in time!. Cross-Genre with Mysteries, Romance, Horror Cross-Genre with Fantasy, Paranormal, or Science Fiction Yes!  No! Historical. Isaac Asimov Science Fact/Science Fiction. Isaac Asimov Born in Russian in 1920 Moved to US at the age of 3 His parents owned a candy store where Isaac. "Oh, magic hour, when a child first knows she can read printed words!" — A Tree Grows in Brooklyn, 1943 November 3, 2014 Dates to note: Title I reading.